I regret that I won’t be able to be in the Twin Cities area Monday for President Trump’s Tax Day visit. Even though I’ll be in Israel, I’ll be watching from afar as thousands of my fellow Minnesotans show their excitement for the tremendous economic progress and success our country has enjoyed under Donald Trump. As someone who employs over 1,500 Minnesotans, I’ve seen the great American comeback firsthand. Thanks to President Trump’s America First agenda, hope has turned into confidence for business owners and their employees in Minnesota and across the country. Wages are going up, and small business owners like myself are still eager to expand. In fact, small business optimism is now at all-time record levels. Recruiters at job fairs are eager to hire. That’s fantastic news for everyone, because when companies compete for employees, wages go up. It’s the main reason why unemployment in the Twin Cities area has been about 25 percent lower, on average, than it was when President Trump took office. The Clean Jobs Midwest survey found that Indiana and Minnesota led the Midwest in creating new clean energy jobs last year, with Minnesota’s clean energy jobs increasing by 4.7 percent last year. 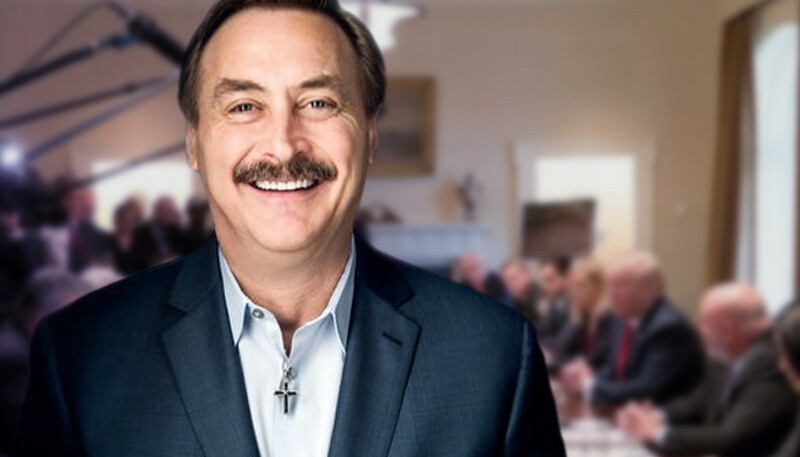 At MyPillow, we were able to give across-the-board raises of 5-10 percent to every employee thanks to President Trump’s 2018 tax cuts. Those same tax cuts are saving the average family in the Twin Cities area $2,806 per year, and for individuals the average savings are $1,504. I can’t tell you how many entrepreneurs have come up to me, asking for advice on starting their own business or inventing their own products. I always assure them that President Trump’s economy has created a safety net they can fall back on in case their plans don’t work out, because there are so many other opportunities available in this economy. When more Americans take risks in hopes of achieving their dreams, the economy benefits. And when people know they that their previous job will still be there for them if their risk doesn’t pay off, they’re more likely to take that chance. President Trump has provided much-needed tax relief to our middle class, made positive trade deals for our workers, and put an end to job-killing regulations so companies can grow and compete right here in the U.S.A.. The results have been tremendous. This commitment to put American families and workers first has been enormously successful in Minnesota, where we’re seeing steady growth, low unemployment, and a recovering natural resource industry. From the moment I met with him in 2016, I knew Donald Trump would be the best president ever, and he hasn’t let me down. As I’ve said many times before, though, this is only the beginning. Mike Lindell is the inventor and CEO of MyPillow, which is headquartered in Chaska, Minn. He is also the founder of the Lindell Foundation (lindellfoundation.org) and founder of the Lindell Recovery Network.